PERFECT LOCATION IN SOUGHT AFTER "LENOX at THE VILLAGES".This well maintained 3 BD/2 BA 4-sided Brick/Stone Traditional Ranch Home sits on a private corner lot. Enjoy the enclosed screened-in, tiled sunroom and private back patio. Hardwood & tiled flooring, granite countertops, cherry cabinets, SS appls, ptry, eat-in kitchen & ldry rm. Gas fireplace in spacious, open great-rm to lrg dining rm. Master suite w/separate shower & whirlpool tub & lrg walk-in closet. 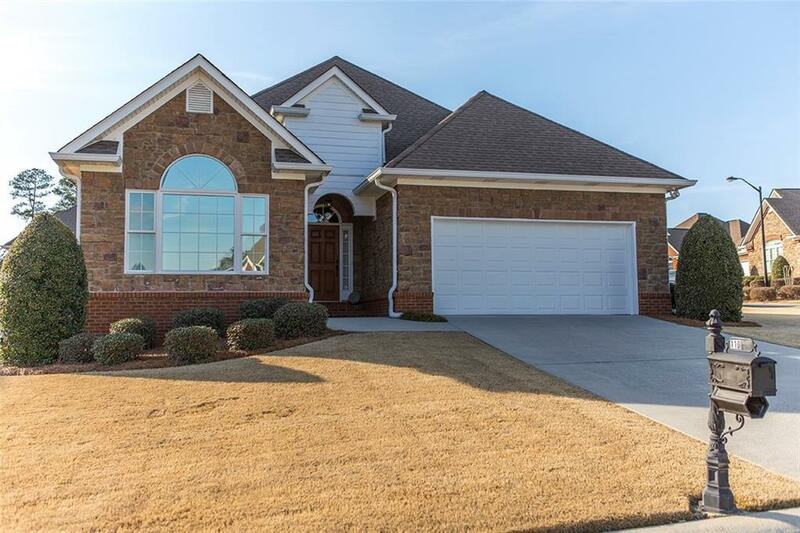 Lovely Community near I75, Schools, Hospital & Restaurants. Amenities include Clubhouse, Pool & Tennis Courts! Directions: Curtis Parkway To Laurel Creek Rd, Then Turn Right Onto Vinings Way And In 100 Ft Take Another Right Onto Lenox Rd. The House Is Up The Street On The Left - Corner Lot.